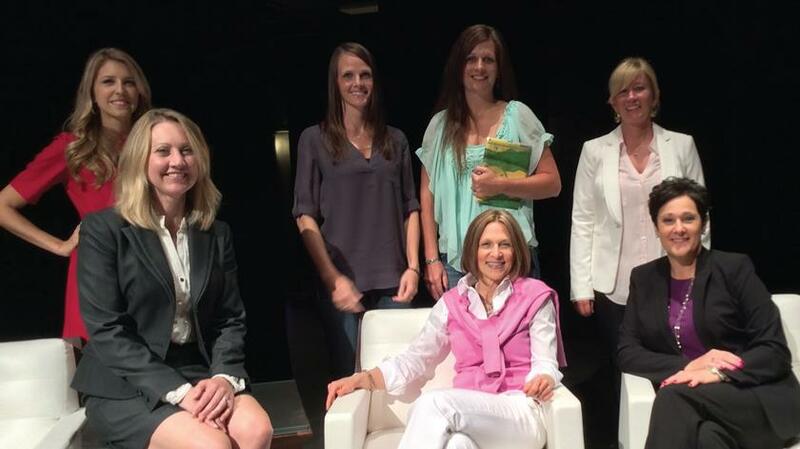 The entrepreneurs of Invest in She include, front row, left to right: Andrea Hansen, Laurie Moritz and Jean Wenisch. Back row, left to right: Nikki Hynek, Molly Clubb, Jaymie Feldmann and Dr. Stephanie Gray. CEDAR RAPIDS—Six Iowa women entre­preneurs netted a total of $40,000 from eight local investors at “Invest in She,” a new pitch event held Sept. 18 at the Para­mount Theatre. The event, sponsored by IWLC and As­cent Iowa, celebrated female entrepreneu­rism in Iowa – something that organizers intend to bolster with this event and others like it. Ms. Clubb, partner at Hired Hand Soft­ware, was pleased with the results follow­ing the competition. Hired Hand Software, founded in 2005, has grown to serve hundreds of agriculture operations and businesses across the na­tion, providing custom-developed website software and an animal marketing system (AMS). The AMS is a custom-built tool for the Texas longhorn cattle, whitetail deer and quarter horse markets, allowing breed­ers to easily manage their own website con­tent while showcasing animals online. The night’s other big winner, Ms. Hynek of Dollup Beauty, had the idea to create her own cosmetic case in 2013 after a frus­trating morning trying to locate all of her makeup supplies. A makeup artist and aes­thetician, Ms. Hynek knew from experience what her perfect makeup case would look like – so she created it. The Dollup Case has officially launched on www.ShopHQ.com, where it sells for $45. In addition to pitching her business to the eight investors, Ms. Hynek also rel­ished the opportunity to learn more about women-owned businesses in Iowa and to network with other entrepreneurs. Debi Durham, director of the Iowa Eco­nomic Development Authority (IEDA), served as keynote speaker. She lauded the program and encouraged women who have considered starting their own business to reach out to groups like IWLC and Ascent Iowa, the latter of which was founded to help women-owned businesses grow. Ms. Ramsey said the organizations are planning to host similar events in the fu­ture to continue advancing women in busi­ness and leadership.